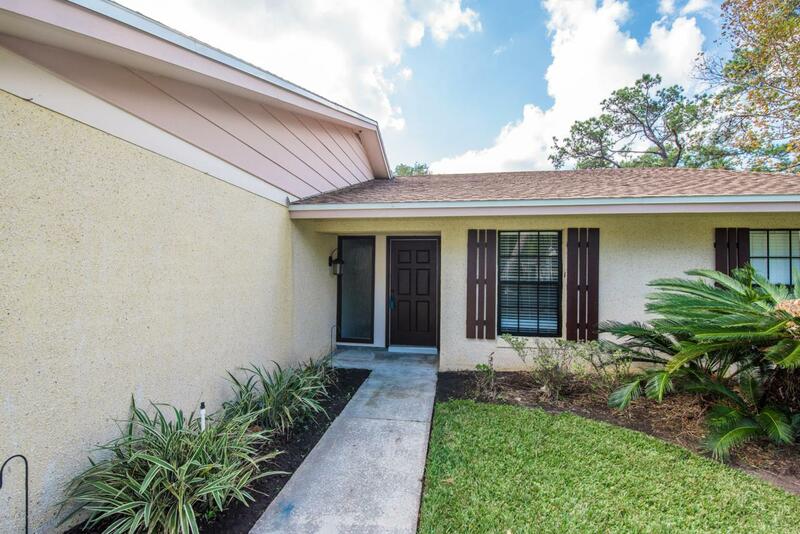 Located in the Oakbridge section of the prestigious Sawgrass Players Club in Ponte Vedra Beach, 3/2 ranch with living and family room is waiting for you to call it home. Recently renovated inside and out with updated and upgraded features including wood look porcelain flooring, new whirlpool stainless steel appliances, new roof and HVAC in 2015. The stone wood burning fireplace is perfect for those chilly Northeast Florida winter evenings. The screened in patio offers an outdoor living area that is great for entertaining or dining alfresco.Oakbridge is also the most affordable neighborhood of single family homes in all of Sawgrass, offering top class amenities including: 24 hour gated security, playground and pavilion, basketball court, sand volleyball court, baseball field and a soccer field for residents to enjoy. Among the perks of having some of St. Johns Counties top schools in this area, Oakbridge is also close in proximity to the beautiful sandy beaches of Ponte Vedra and within a mile from trendiest restaurants and boutiques.